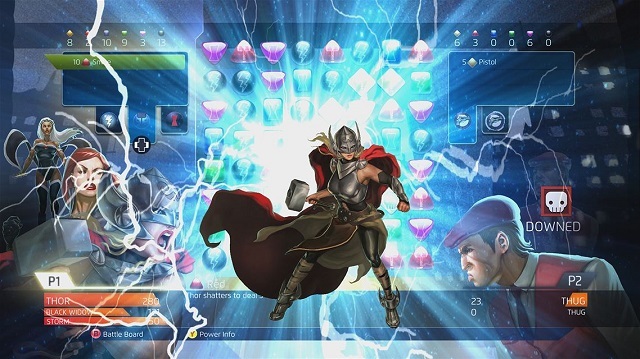 In Marvel Puzzle Quest: Dark Reign, players create a team from a roster of Marvel Super Heroes and embark upon a global journey that features match-3 and story-driven gameplay. Join Iron Man, Thor, Wolverine, Hawkeye, and many more, battling against a host of Super Villains including Venom, Doctor Doom, Magneto, and The Hood in a struggle to obtain and control the ever-mysterious Iso-8. 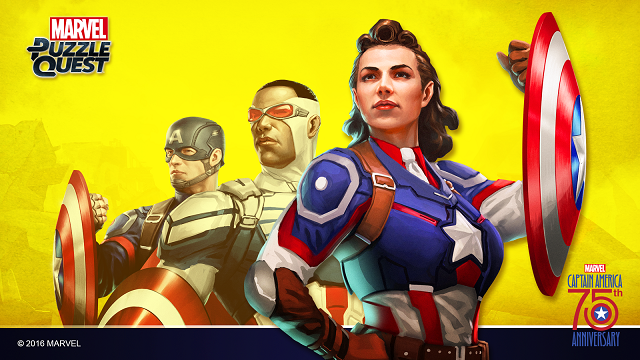 5/9/2018: Peggy Carter (Captain America) from Marvel Puzzle Quest is making her comic book debut in Exiles #3. 2/5/2016: The puzzle-RPG Marvel Puzzle Quest: Dark Reign is now available for Xbox One.